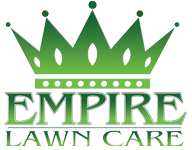 At Empire Lawn Care, we believe in producing only the highest quality work for all our customers. We understand that the appearance of your property is a source of pride, something that you can display for all to see. Our professionals gear all our lawn services to leave you with a fresh cut and trimmed yard that looks great the moment you pull up to your driveway. We use the best in modern equipment for each service we provide, from grass cutting to tree pruning, guaranteeing that your lawn will look perfect. We've worked hard to perfect the art of landscaping, serving countless homes throughout the Mansfield and Arlington, Texas, areas as we mastered numerous lawn care techniques. We even offer garden landscaping. Contact us today for lawn care services at competitive prices.